Nicky Johnston is a self publishing success story. Her ability to pen a story, illustrate it so effectively and tap in to the psyche of anxious young worries has struck a chord with many parents and their children. 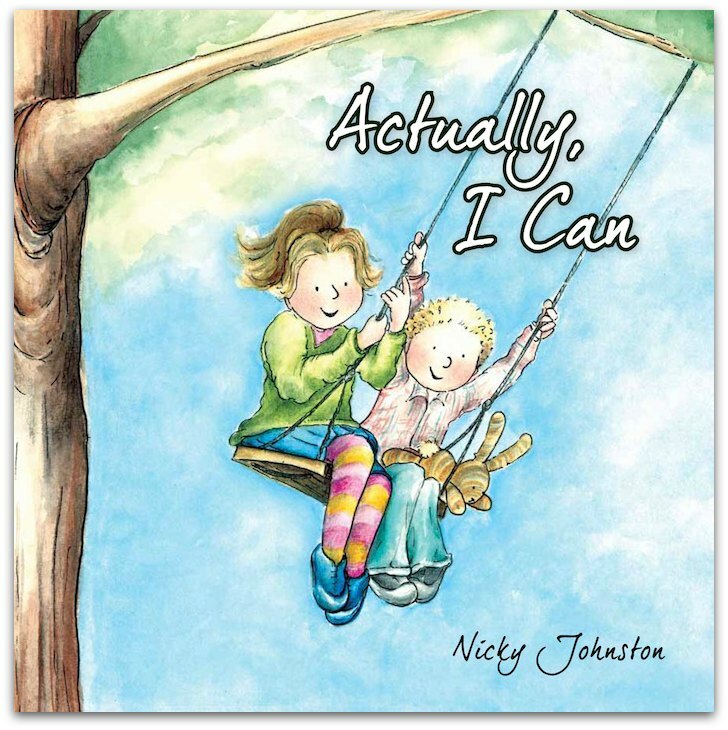 Nicky’s third book, Actually, I Can, has been snapped up by Melbourne publishers Rough Draft. It is beautiful. Over the years Nicky has proved her ability as a valuable and indispensable resource for parents and their little worriers. Following the diagnosis of her eldest son’s anxiety disorder years ago, she has gone on to help thousands of little worriers … and their parents. (Go Away Mr Worrythoughts & Happy Thoughts Are Everywhere). Actually, I Can showcases a clever storyline featuring the two friends, Connor and Amelia. Amelia is a happy go lucky character, feeling free and happy she enjoys exploring. Connor sits by and watches … and wonders … and worries. A shrewd storyline cleverly turns the tables as Connor discovers inner strength. Nicky communicates his inner dialogue in a manner that is sure to help little worriers convert their own troubling thoughts. Nicky’s watercolour illustrations are warm and comforting – a perfect partner to her narrative. Connor’s character is one endearing little boy who will very quickly be helping ‘worry bunnies’ discover their inner confidence. Check out the Happy Hero Facebook page for great inspiration from Nicky herself.